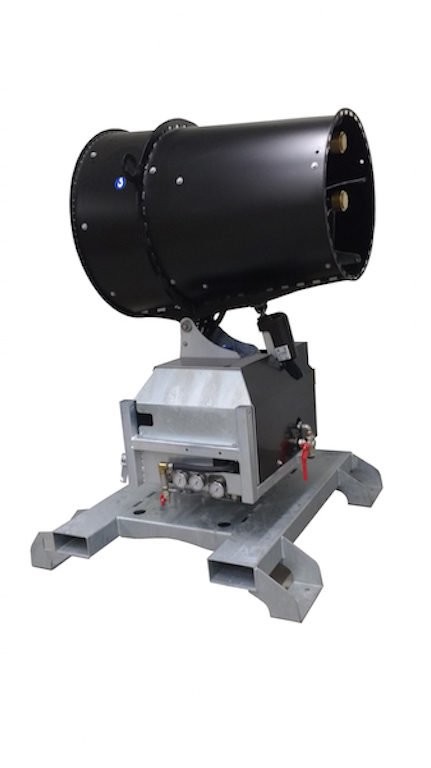 Brumstyl misting system offers now you two new dust suppression cannon models for construction sites or for any place requiring to dust control, whether outdoors or indoors. This series has the advantage of having a very attractive price while having great efficiency. It is manufactured in two versions: the BA400 cannon with a range of 40 meters and the BA600 gun projecting up to 60 meters. It is possible to equip options such as remote control, dosing pump, mobile system. This series has the advantage of having a robust streamlined chassis and is therefore more suitable for rental. It is manufactured in several versions ranging from 30 to 80 meters projection distance. Unlike the BA series, this version includes a streamlined chassis including the transfer pump, the oscillation system, the solenoid valve, the filter, the pressure switch to ensure the protection of these elements. 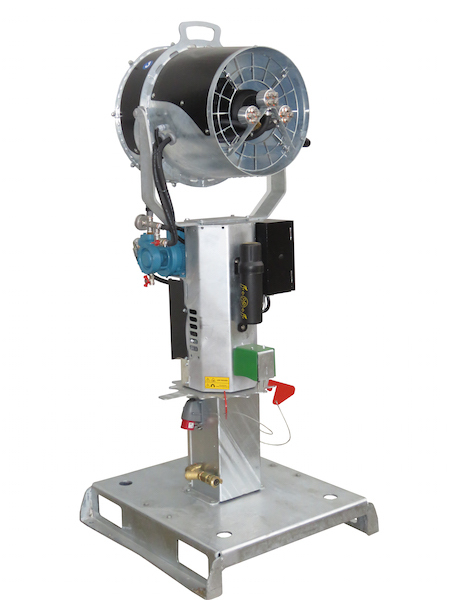 It is also possible to equip the BA and BB series mist cannons with a 70 bar high-pressure pump in order to obtain a very fine droplet size and thus to capture very fine particles of dust such as flying wood particles, asbestos fibers … It can also be used for settling tanks, and for the odor control. We also provide fogging cannons for rental, you can see the topic “misting cannon renting” or contact us.